Swiss watchmaker GV2 has a well-deserved reputation for style and quality. 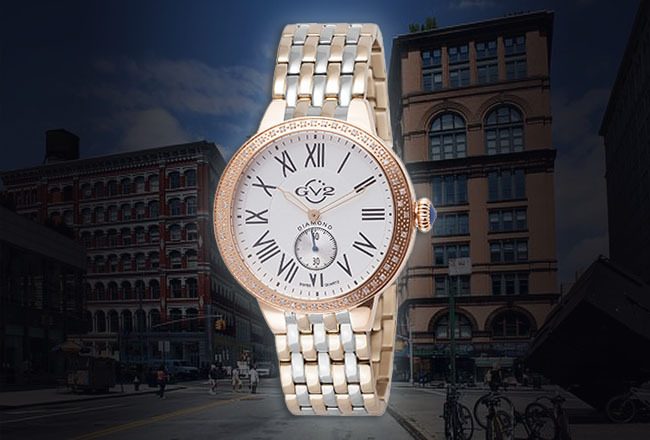 Manhattan’s Astor Place, as home to The Joseph Papp Public Theater and Tony Rosenthal’s famous “Cube” sculpture, has an equally well-deserved reputation for culture and creativity. 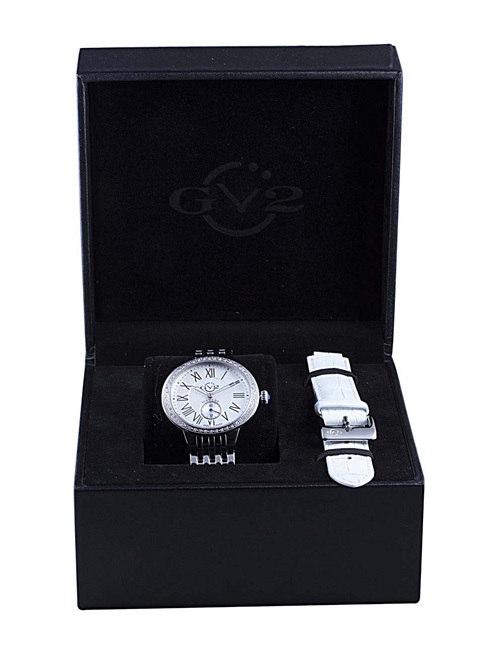 Combine the two and you get the GV2 Astor Watch Collection. 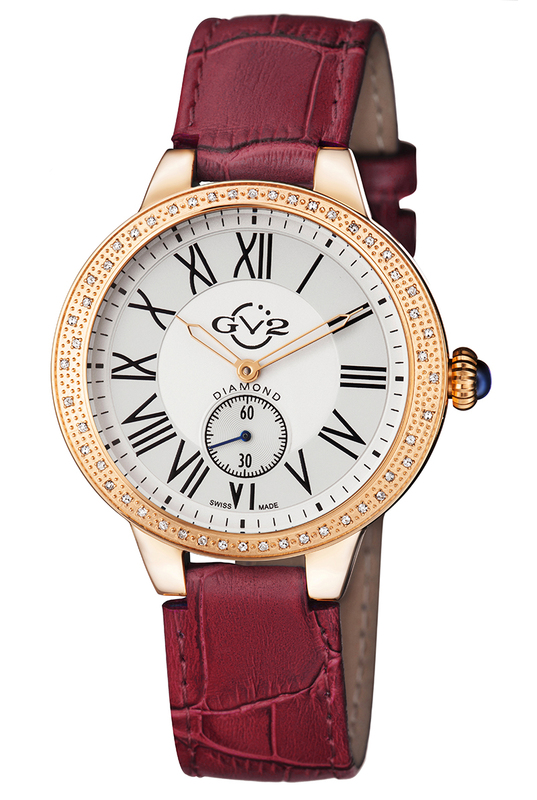 With fifty genuine diamonds on the bezel, this fabulous limited edition ladies watch is a fitting tribute to its namesake neighborhood. The 40 mm Astor is pure drama on your wrist. 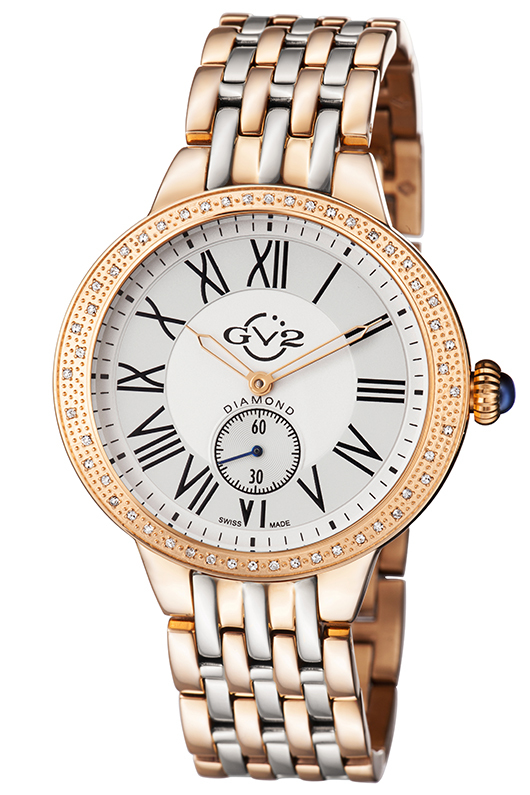 With a diamond encrusted bezel encircling a distinctive oversize dial emblazoned with bold Roman numbers and a floating continuous seconds sub-dial at 6 o’clock, this is a timepiece that’s going to get noticed on any woman’s wrist. The imaginative GV2 Astor is available in your choice of stainless steel or IP yellow gold and is equipped with an interchangeable strap and bracelet. 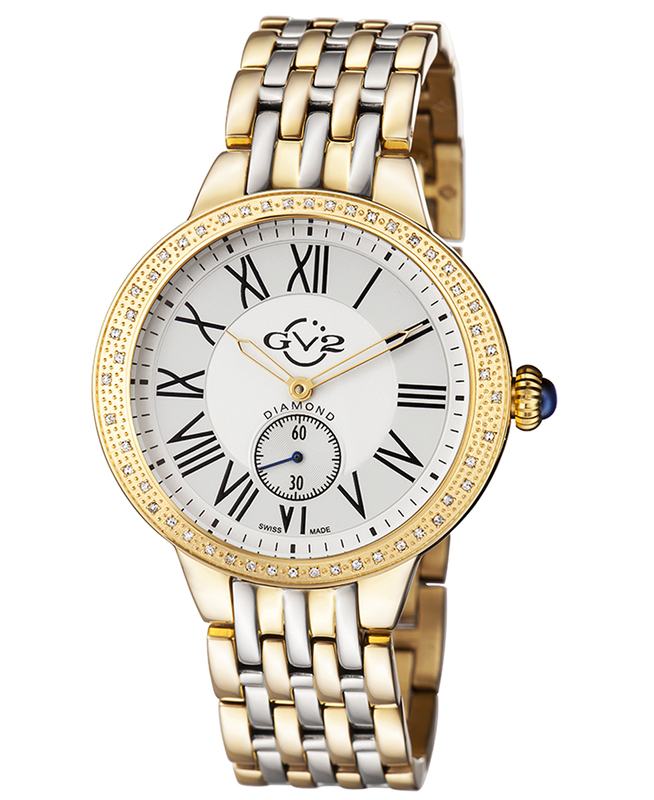 With the convenient self-change pin, you can instantly change the look of this fabulous watch. 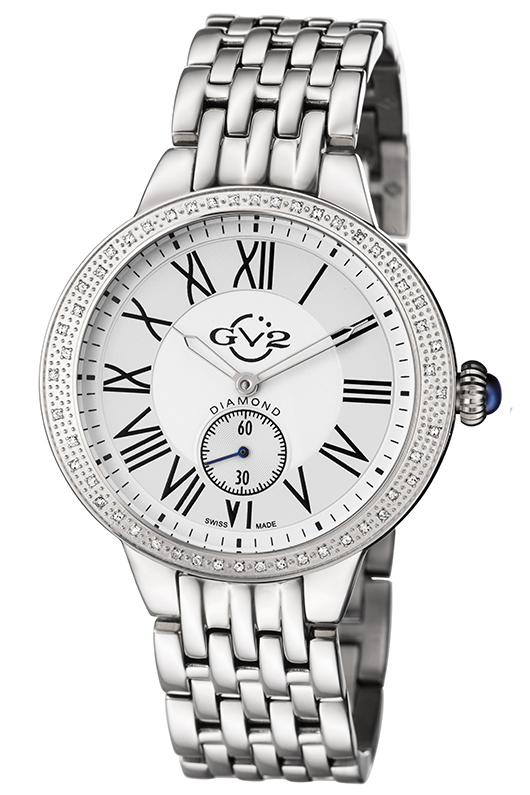 Wear the integrated stainless steel bracelet for a sporty look, or the luxurious croco-pattern leather strap for a dressier look. 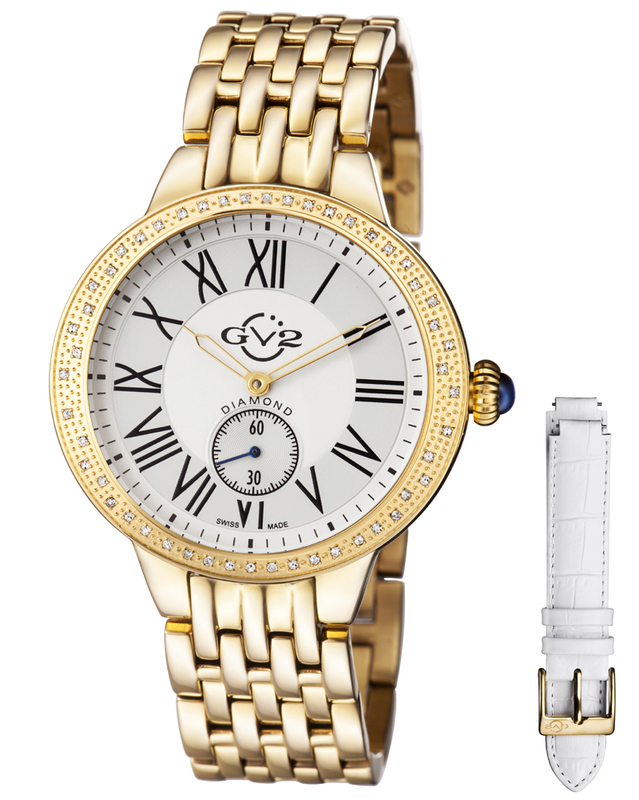 A precision Swiss made quartz movement that is engineered to provide years of reliable service powers the GV2 Astor. This exceptional watch is equipped with a durable mineral glass crystal and a stainless steel case that is water resistant to 99 feet. To complete the Astor’s stylish good looks, a bright blue small-second hand complements the watch’s beautiful jeweled sapphire cabochon crown. 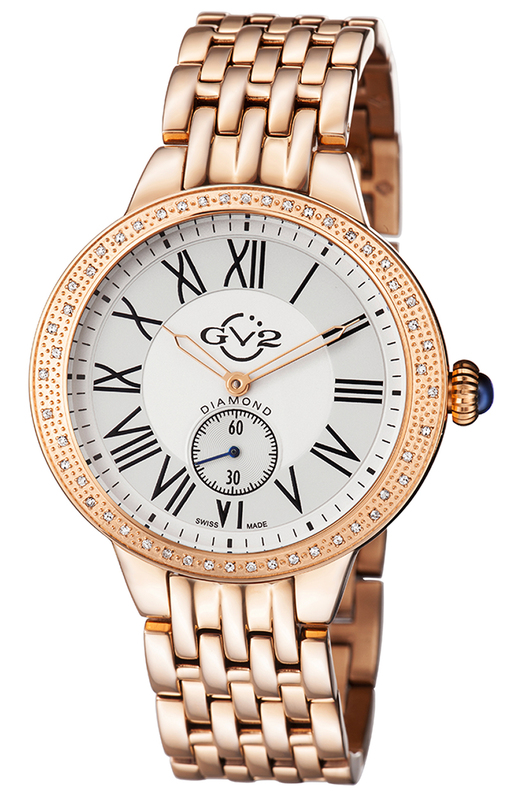 The Astor represents a tremendous value for anyone who appreciates fine timepieces. This quality watch is produced to Gevril’s rigorous standards at the Gevril factory in Switzerland. 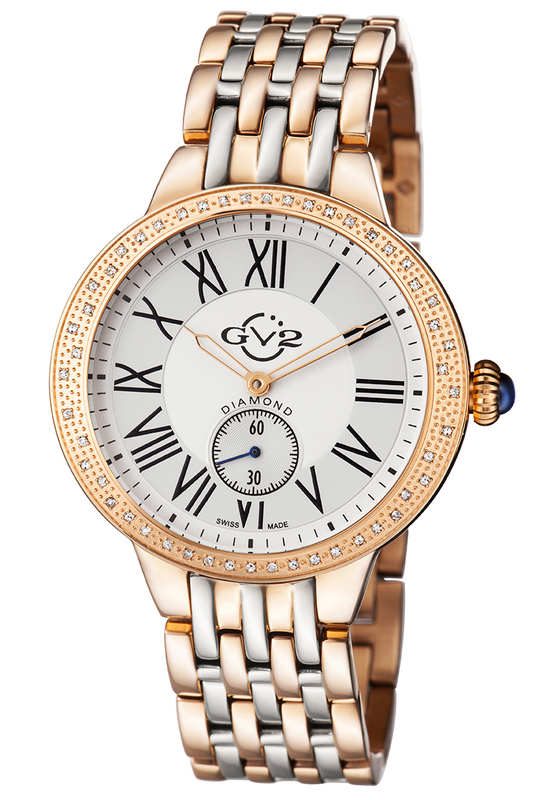 It is there that skilled craftsmen, using the finest quality movements and components create some of the best timepiece values on the planet. To put this distinctive creation on your own wrist, contact an authorized GV2 dealer today and ask to see the Astor. 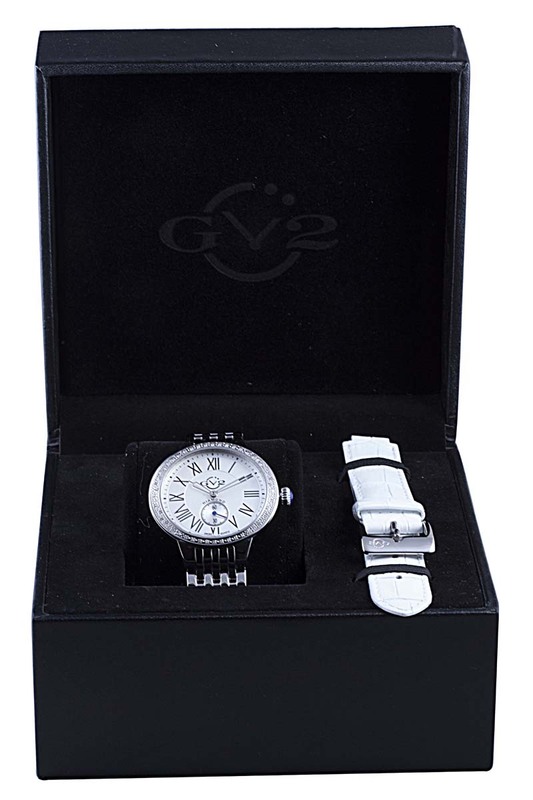 Remember, the GV2 Astor makes a great gift, for yourself or for someone you love.